In some circles of the Jewish world, ritual piety is misunderstood to be what Torah-Judaism is all about. Ironically, Judaism’s traditions and religious requirements for daily life are actually about nurturing ETHICAL AND MORAL BEHAVIOR. A person can be ritually “PERFECT” in his/her observance of the mitzvot related to daily life, but if he/she does not respect and treat all of HaShem‘s children with respect and tolerance, that supposedly “pious” person has missed the forest for the trees. From all that we now know went on at Rubashkin family “kosher” meat-packing plant, there no way a beit din, a genuine Jewish court that is more committed to the objectives of Jewish law that the mechanics of their implementation, could not have found Sholom Rubashkin guilty of selling meat as kosher that had actually been defiled by his gross disregard for the rights of the employees of his plant and all the animals who were abused in his house of horrors before being properly slaughtered. Regardless of how the employees of the plant or the animals were mistreated, according to Rabbi Menachem Genack of the OU, the meat was technically still kosher. 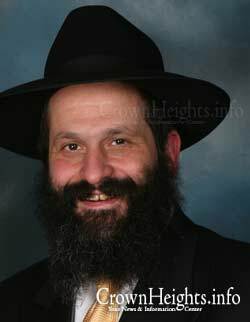 We must once again also call attention to the fact that as the Chabad/Rubashkin meat scandal was unfolding, Rabbi Menachem Genack, Director of Department of Kashruth at the OU told us time and again: “But the meat is kosher.” So much for your values Rabbi Genack. So much for the trust so many had in the OU hecksher. But congrats are in order to you and the OU for indirectly inspiring many of us to realize that without reliable kashruth supervision, Jewish people committed to observing kashruth are best off simply being vegetarians. Court refuses to consider whether sentence given to former chief executive of a kosher meat packing plant in Iowa, to serve 27 years in prison on charges of financial fraud, was excessive. WASHINGTON – The U.S. Supreme Court yesterday rejected an appeal by the former chief executive of a kosher meat packing plant in Iowa who was sentenced to 27 years in prison on charges of financial fraud. Without comment, the high court refused to consider whether Sholom Rubashkin’s sentence was excessive for a first-time, nonviolent offender, and whether he was entitled to a new trial based on evidence of alleged judicial misconduct in the case. The case had sparked an outcry from members of the legal and Orthodox Jewish communities, who supported Rubashkin’s quest for a new trial. Rubashkin was convicted in 2009 of 86 counts of financial fraud that came to light after a government raid on the former Agriprocessors Inc. plant in Postville, Iowa, in which hundreds of immigrant workers were arrested. On appeal, Rubashkin argued that he was entitled to a new trial after documents obtained through a freedom of information request allegedly revealed that the trial judge had been involved in planning the government raid. The 8th U.S. Circuit of Appeals in St. Louis had rejected Rubashkin’s request in 2011. Rubashkin’s lawyer, Paul Clement, was not immediately available for comment. 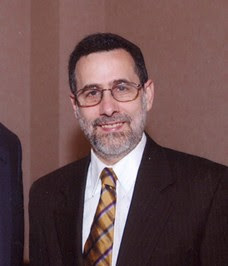 Numerous groups submitted amicus briefs in support of Rubashkin, including 86 former attorneys general at various levels of government, the National Association of Criminal Defense Lawyers and a group of 40 legal ethics professors. what a great news event to begin the new year. yes, morality outweighs the minutia of the halacha.